This primary source reader in the popular DISCOVERING series contains a six-part pedagogical framework that guides students through the process of historical inquiry and explanation. The text emphasizes historical study as interpretation rather than memorization of data. Each chapter is organized around the same pedagogical framework: The Problem, Background, The Method, The Evidence, Questions to Consider, and Epilogue. Volume II of the Eighth Edition integrates new documents and revised coverage throughout. 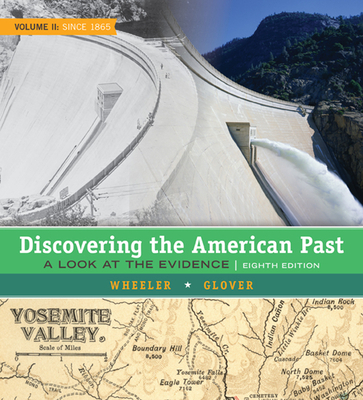 For example, there are new chapters on the controversial decision to flood the Hetch Hetchy Valley in Yosemite in the early twentieth century, and the rise of the religious right in the late twentieth century.